Kingston’s HyperX brand has always catered towards enthusiasts and gamers, but up until last year it was always tied to the Kingston name. 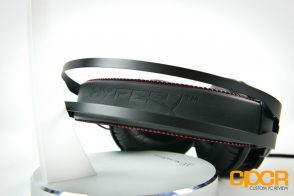 Not too long ago however, Kingston decided to develop HyperX into a separate gaming oriented brand and along with it they also revealed a whole host of new products including gaming headsets, gaming mice, gaming memory and more. 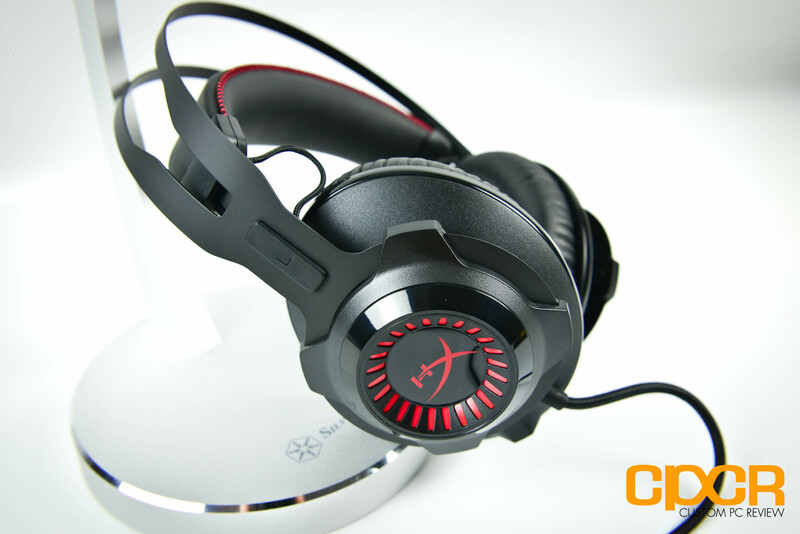 Last year we had the opportunity to test the Kingston HyperX Cloud II Pro gaming headset where we came away very impressed. 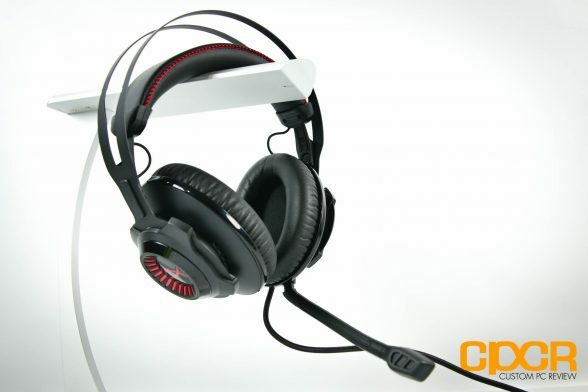 The headset was among the most comfortable and best sounding gaming headsets on the market and came in at under a $100 pricetag. It quickly became one of our favorites so when HyperX recently revealed their new HyperX Cloud Revolver gaming headset, we absolutely had to try it. 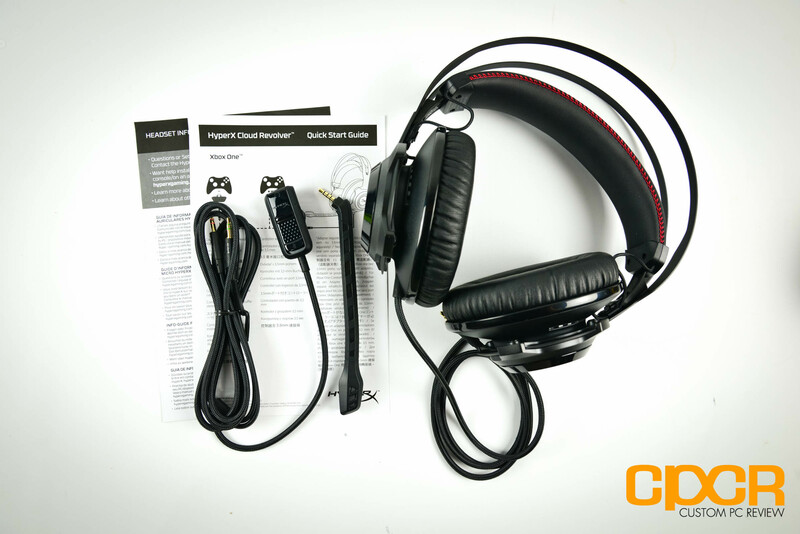 Looking at the specs, the HyperX Cloud Revolver is quite a bit different compared to HyperX’s previous headset, the HyperX Cloud II. 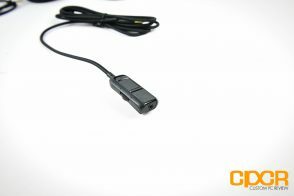 The Cloud Revolver now utilizes 50mm drivers which output a frequency response of 12Hz-28,000Hz and it has an impedance of just 30Ω rather than the Cloud II’s 60Ω. The Cloud Revolver also utilizes a suspension headrest type design which may be more comfortable for some gamers. Here’s a look at the packaging for the HyperX Cloud Revolver. 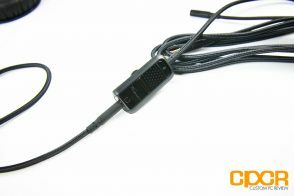 Included in the packaging is some documentation, the HyperX Cloud Revolver headset, a detachable microphone, and an inline remote which converts the single 3.5mm headphone/microphone connector off the HyperX Cloud Revolver into separate 3.5mm headphone and microphone connectors. 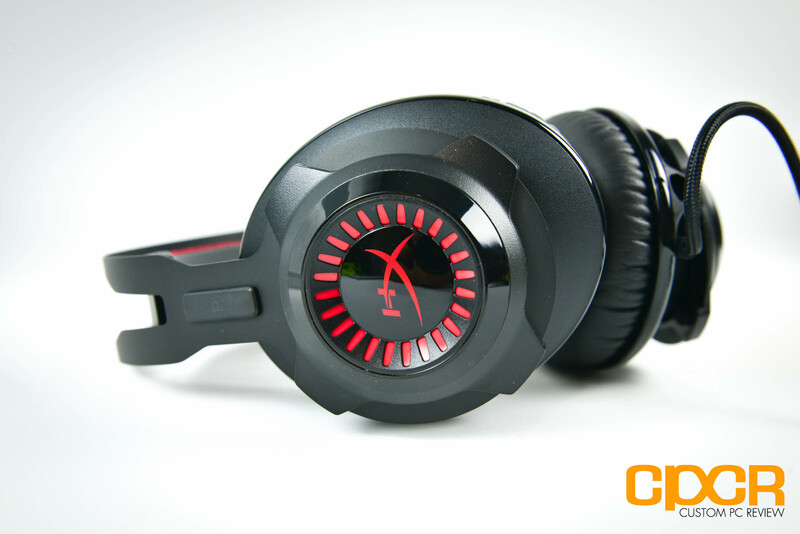 Here’s a closer look at the HyperX Cloud Revolver. The headset utilizes a dual band design where the top band is simply a frame while the inner band is leather and provides support on your head. 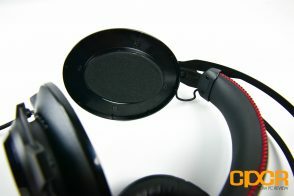 This is a fairly popular design especially in headsets from SteelSeries. 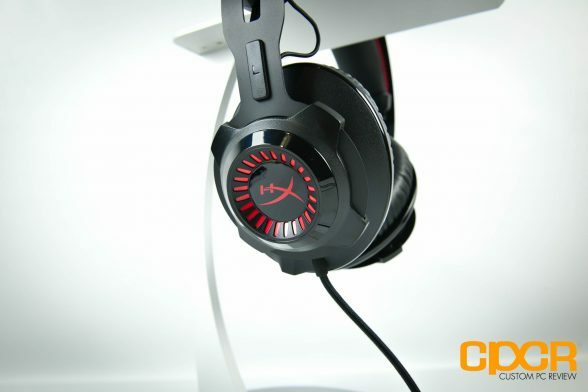 Like other HyperX headsets, the HyperX Cloud Revolver utilizes a black and red color scheme which isn’t too subtle, but doesn’t scream gaming headset like other headsets. 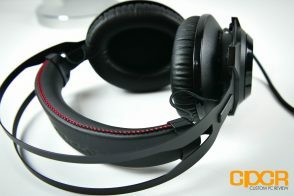 HyperX has done a very good job color matching and integrating the frame with the rest of the headset. While it doesn’t look like it, the frame is actually made of metal while the earcups are made of plastic. 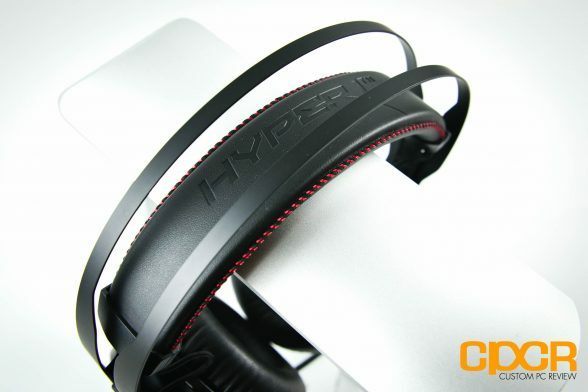 The HyperX Cloud Revolver comes with foam leather earpads. The earpads are very soft and durable and is very large for larger ears. 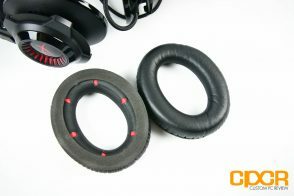 The earpads can also be easily replaced as well. HyperX also includes a detachable microphone as well which attaches to the bottom of the headset. 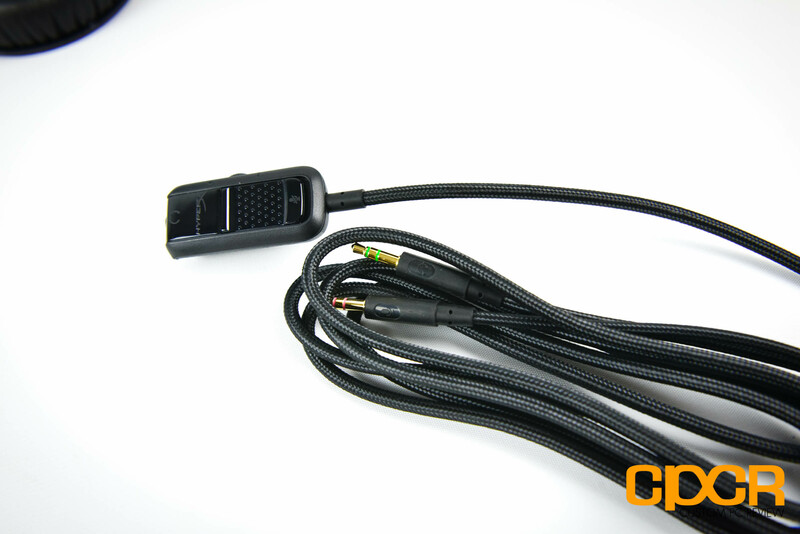 As the HyperX Cloud Revolver only has a headphone/microphone 3.5mm combo jack for its primary connection, an in-line controller/adapter is also provided to split the combo connector into separate 3.5mm headphone and microphone jacks. The in-line controller features volume controls along with microphone mute functionality. For the past month, I used the HyperX Cloud Revolver as my primary headset and during that time put it through a barrage of different testing to test its capabilities not only in games, but movies and music as well. For game testing, I spent most of my time testing the HyperX Cloud Revolver with Battlefield 1 Beta and Payday 2. These two games are both first person shooters with a lot of intense action and a variety of different sound effects, dialogue, and background music which will allow us to test the full range of our gaming headset. 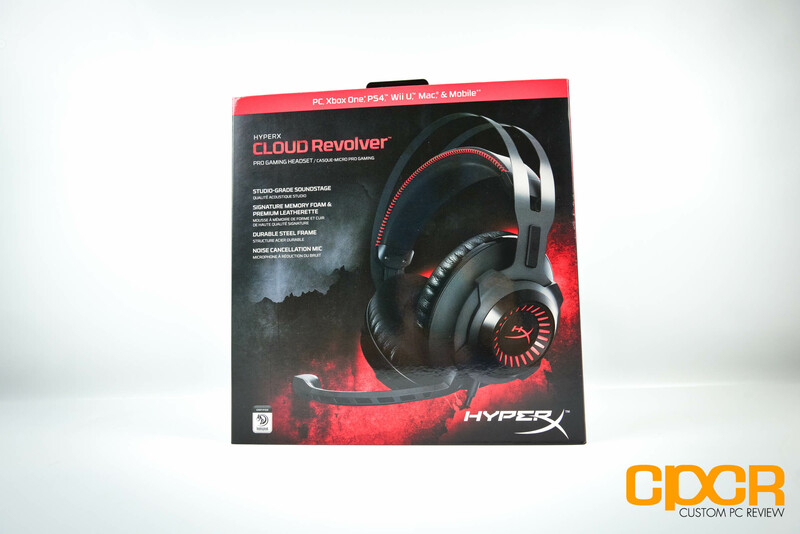 In testing, the HyperX Cloud Revolver proved to be very good. 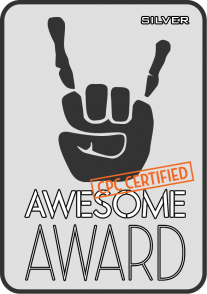 The bass is very powerful yet not overpowering and the highs and the mids were very clear. Although the HyperX Cloud Revolver is a closed back headset, it nevertheless has a very wide soundstage which really helps provide a more immersive experience out on the battlefield. For music, I tested the HyperX Cloud Revolver with music from a mixture of different music genres as well as live recorded music. It’s clear that HyperX has done a lot of work tuning the Cloud Revolver as it’s a very balanced and neutral sounding headset yet is still fun to listen to. Like most consumer headphones on the market, the highs and lows are slightly turned up from the factory, but not in a typical way where it’s way overdone. 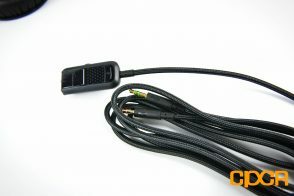 For movie testing, I tested the HyperX Cloud Revolver with a number of new movies including the recently released Captain America: Civil War which contains a well made DTS-HD Master Audio 7.1 soundtrack. During the movie there were a myriad of explosions, crashes, and dialogue which was presented very well from the Cloud Revolver. Whereas generally perfectly flat sounding headphones seem to lack immersive bass and bass heavy headphones tend to lack everything else, the HyperX Cloud Revolver struck a perfect balance of both. 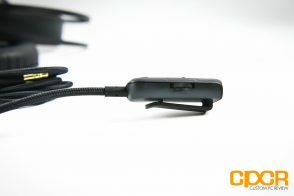 The microphone quality on the HyperX Cloud Revolver is decent for those using this simply for communication as a gaming headset, but those looking to do game presenting, podcasting, or other recording type of applications will want to purchase a higher end microphone. According to my colleagues on the other side of Skype chats, my voice came in clear although thin and tinny. As for comfort, the HyperX Cloud Revolver does a very good job as well. The earcups are very large to completely encompass your ear even if you have oversized ears like mine. The earcup material is also nice and soft as well with very evenly distributed clamping pressure that doesn’t cause issues even for those who wear glasses. The suspension headband is also very comfortable as well with nice and even weight distribution across the top of the head. The only downsize to the HyperX Revolver is simply its weight. At 376g with a microphone and 360g without, the headset does feel a lot heavier on top of your head than other headsets such as the HyperX Cloud II which weighs in at just 320g. Overall I think the HyperX Cloud Revolver is an excellent headset with quality and performance you’d typically associate with much higher end headphones. It’s clear that HyperX does a lot of work tuning their headsets for that perfect sound signature and it really does bring out the best sound these drivers are capable of. That said, sound is subjective so if you’re like me and you enjoy a mostly neutral sound signature with a little bit of extra treble and bass cranked up on the edges, you’ll definitely like the HyperX Cloud Revolver. If you enjoy the ultra heavy bass typically famously found on headphones by Beats, then you might want to look elsewhere. Similarly, if you need that perfectly flat sound signature, Sennheiser or Audio Technica’s higher end stuff may be what you’re looking for. Currently the HyperX Cloud Revolver is priced at $116.99 which is pretty average for a higher end gaming headset. For those who really enjoy the suspension headrest design, the HyperX Cloud Revolver is a no brainer. That said, for others who don’t necessarily find the suspension headrest any more comfortable than a normal headrest, the HyperX Cloud and HyperX Cloud II are simply a much better deal than the HyperX Cloud Revolver and provide the same great sound quality at quite a bit less.